Buyer beware. Play with this Dragon and you will get burnt, both figuratively and financially. In today’s Nine Dragons Rolling Papers Review I will expose the fraud that these papers are. They claim the papers are 100% Hemp. This is not true. There is actually Zero Hemp in these papers. Made in America they are not. Made is China they are. In case you are in the dark about Chinese manufacturing and regulations allow me to enlighten you. China cares about money not quality. And although there are regulations there is also corruption. And we’re talking large scale. Well, they’re very cool rolling papers at a glance. The packaging and art work are second to none. Even the name is pretty badass. As soon as I saw them I remember thinking that I really wanted to roll a fat joint in Nine Dragons papers. Well, unfortunately that is where the fun ends. It is also where the scary part begins. What the Hell am I smoking? Well, once again, it says 100% Hemp right on each package. So, you would think they have to pass some sort quality control regulations to enter the USA. But I can tell you that is not the case. China has long been the focus of exporting bad products. They outright lie and it just doesn’t seem to matter. You may remember the recent toy recalls. Lead was found in Chinese toy imports. I found a study you can read at this link if you want to see exactly what you’re smoking. Click here http://www.rollingpapers.net/ninedragons.html. 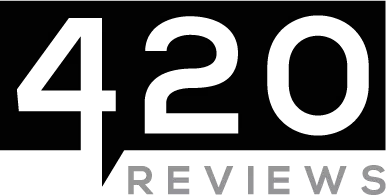 If however you want real Hemp papers may I suggest you read my review at this link https://420.reviews/hempire-rolling-papers-review/. You might also like this quality rolling paper review as well. https://420.reviews/bob-marley-hemp-rolling-papers-review/ Those are both real 100% Hemp rolling Papers that I trust and use regularly. The truth is they’re made from wood. The paper is chemically treated. And the whole thing is a big scam. Read the report in my link above for the actual numbers done by an independant 3rd party. We live in a world these days where lies seem to be the norm. We must be diligent and help each other where and when we can. I hope my Nine Dragons Rolling Papers Review saves you the pain and suffering many other consumers have fallen prey to. Pass on this message and let’s put this Dragons’ fire out for good. Summary Buyer beware. Play with this Dragon and you will get burnt, both figuratively and financially. In today's Nine Dragons Rolling Papers Review I will expose the fraud that these papers are. They claim the papers are 100% Hemp. This is not true. There is actually Zero Hemp in these papers. Made in America they are not. Made is China they are. In case you are in the dark about Chinese manufacturing and regulations allow me to enlighten you. China cares about money not quality. And although there are regulations there is also corruption. And we're talking large scale. Super Glue Review – Sticks with you !